The first week of my Christmas vacation in 2011, I spent with a cold and fever. I had already begun feeling unwell on the last day of work, and a long flight to Thailand, followed by a two hour bus ride with an overactive air-condition blowing down my neck, topped with a 4-5 hour stint of windsurfing, probably didn’t help. So that first week in Thailand I spent sitting on the patio of the house we were staying at, slowly getting better. Admittedly it wasn’t the worst place to be sick, though just sitting there quickly got a bit boring, so I grabbed my laptop and began writing a comic book plug-in for GIMP. GIMP is a tool for doing design, graphics and image manipulation, but it also has quite a few serviceable brushes and tools for painting and drawing. I have used it to draw a couple of my comics, “Gawkers” and “How to Come Out for Religious Nuts“, and was quite happy with it, and since I drew those GIMP has only gotten better. Though there were still two features I missed, that I had gotten used to when drawing “The Raft” in Manga Studio. One was a tool for quickly creating panels, and the other was a story mode, used to mange the pages of your comic. When writing and drawing comics, I tend to write the story out as a screenplay, after jotting up the idea and a basic skeleton on a piece of paper. I prefer this to writing a full script, as I like to have more freedom when drawing, so that I can juggle around the number, shape and size of panels on the page to best tell the story. This process is quite dynamic and I tend to do it in a very loose and sketchy style, making it easier to discard stuff that is not working (before spending hours rendering it nicely), moving panels around, editing dialog, adding pages and playing with the layout as needed. This stage is where my plug-in, GIMP Book , is probably most usefull. Custom templates, which are used for all new pages you add to your comic. The templates are standard .xcf files, so you can easily set the resolution and add a standard set of layers and layer groups you want to use. Thumbnail view showing the pages in spreads, so you can see what pages will be facing each other in print. Storyboard mode, where the pages flow, handy for drawing storyboards or web comics, when you don’t care about page spreads. Sort the pages simply by dragging them around. 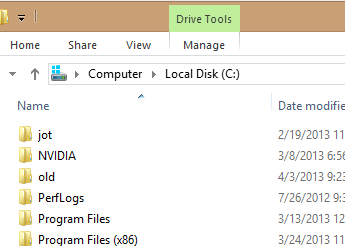 Deleted pages are stored, so you can import them later. Name your pages anything you like, to help remind you what’s on the page. Import pages from several image formats. Export your comic to a variety of formats, optionally resizing and cropping the exported files to fit your needs. Add layer tags that let you define which layers should be shown or hidden on export. This can be used to hide your rough sketches on export or to do multi-lingual comics. Works in GIMP 2.8 on Linux and Windows (not tested on OSX, but should work there too). 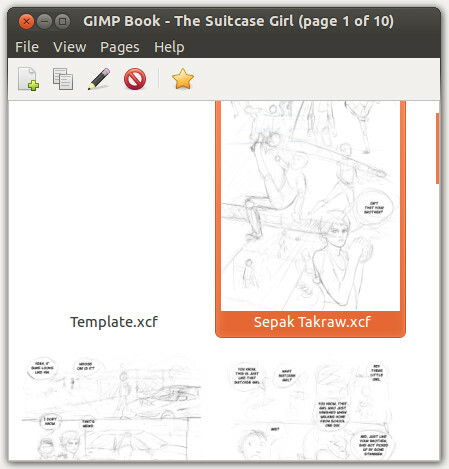 Just like GIMP itself, GIMP Book is released as open-source software, so you can easily get it here and try it for yourself. The manual and installation instructions can be found here. 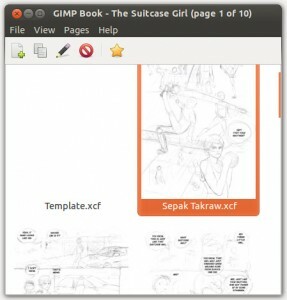 I’m currently using GIMP Book to draw a short comic. So far it’s been working great. I’ve added a couple of features here and there along the way, as I’ve found the need for them, but have been quite happy with how the tool turned out. And with all the tools the GIMP team added in version 2.8, it’s becoming a great tool for making comics. Now I only need to get around to making that panel drawing tool.